‘Hope’ is the perfect word to perhaps describe the year 2011 has given cricket. Not just because India won the World Cup and hosted it with its Asian neighbours successfully, or England making Test cricket a brand by becoming No.1, but also because this was the year which marked the debuts especially in Tests of some promising bowlers to watch out for in the future. Here are a few who made huge impacts and announced themselves on the world stage. Australia are going through a transition phase and have not found one man to lead the attack at the Test level yet after the retirements of Glenn McGrath, Brett Lee and Jason Gillespie. After Mitchell Johnson’s terminal decline, there were places to grab as far as the bowling was concerned. Patrick Cummins at the tender age of 18, strung though serious performances before breaking into the Australian test side. Patty was first noticed in the Airtel Champions League T-20 this year by the cricketing globe. 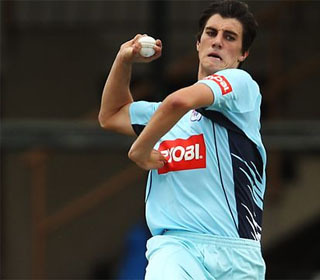 Soon after the tournament, he found himself selected in the Australian T20 and ODI squads, and eventually in the Test squad as well. Australia’s capitulation to 21 for 9 at Cape Town, accentuated Cummins’s prospects for the next test. He worked Jacques Kallis over in admirable fashion as the world took notice of who this kid was. Patrick capped off his splendid 6 for with the ball, with 13 crucial runs in a tense chase as Australia went on to clinch a thriller by 2 wickets and leveling the series. His performances were rewarded as he was awarded man of the match for a dream debut. He was awarded the man-of-his-match for a dream debut. Despite being injured, he is one of Australia’s best talents in recent times and the one to watch out for! 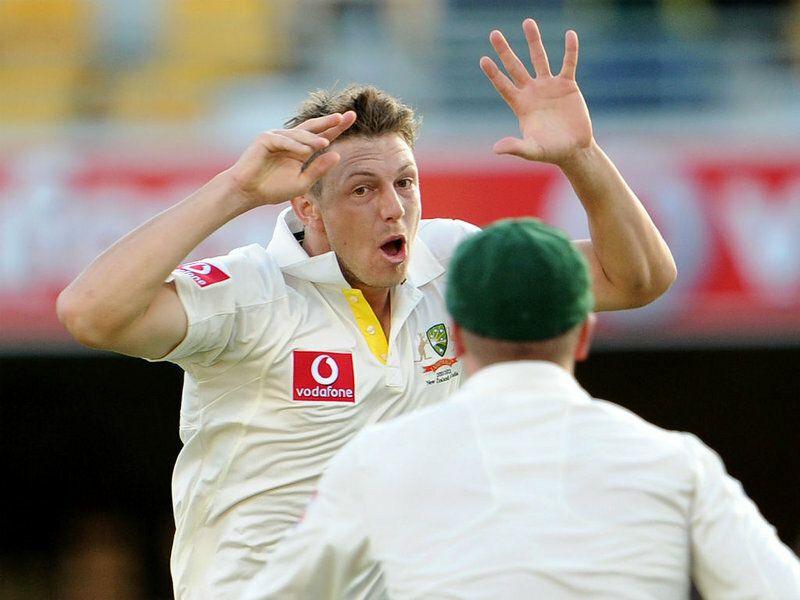 James Pattinson may not have the pace of a Cummins, but he has been might effective in his short stint in Test cricket. The Victoria pacer has also not only got pace but also a nagging line and length to trouble batsmen. And New Zealand would be glad not to face his bowling in the near future. On debut at the Gabba, he picked a 5-wicket haul which included the wickets of Brendon McCullum and Ross Taylor. In the following Test at Hobart, he added yet another 5-wicket haul to his name and his bowling has been consistent. Cummins and Pattinson could form Australia’s new-ball pair in the near future, and it should set alarm bells ringing in the opposition batsmen. Unless both of them do not fall for the Big Bash and the IPL riches, which Pattinson seems to have to an extent due to a contract with the Kolkata Knight Riders. Australia have tried as many as 11 spinners in the national side, after the retirement of Shane Warne. 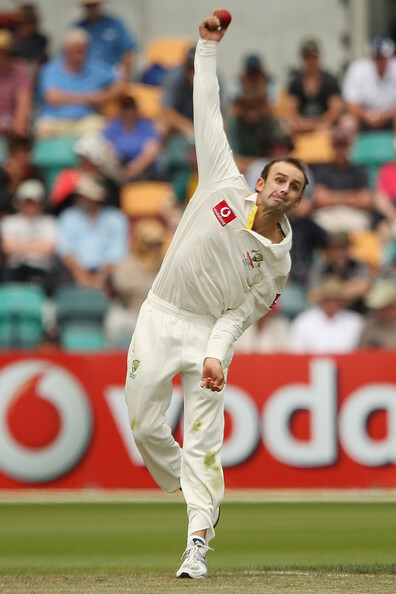 However, finally their prayers have been answered in the form of the emergence of Nathan Lyon. Nathan Lyon, who was a member of the groundstaff at the Adelaide Oval at one point of time gradually made it to the South Australian side courtesy his hardwork. And so he was called up to play against Sri Lanka in Sri Lanka in the Test matches in the summer of 2011. His first Test was in Galle, and Lyon took a famous five-wicket haul! Plus, the icing on the cake is that his first wicket was of Kumar Sangakkara, and that too in his very first ball of Test cricket. That spell was vital in Australia winning the Test match and the series eventually. If Clarke and the national selectors continue to have faith in the South Australian, Australia could re-emerge as champions in the longest version of the game and improve their record in the Indian subcontinent. 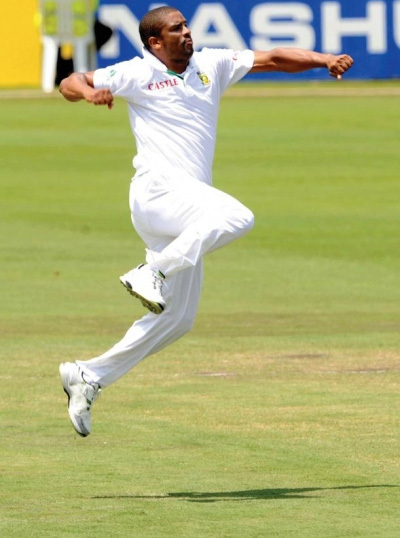 South Africa sprung a surprise in the Australian camp, when it was announced that Philander would make his Test debut at Cape Town, his home city ahead of the left-armer Lonwano Tsotsobe. Graeme Smith furthur astonished everyone by making him share the new ball with the fast and fiery Dale Steyn, instead of Morne Morkel. And the move worked, even more in the second innings. He was the man responsible to bowl out Australia for a paltry 47 in the second innings at Cape Town, with Pollock-like figures of 5/15. In the next Test at Johannesburg, he again took a 5-wicket haul in the second innings and was inches away of helping South Africa pull off another victory against the once world champions. 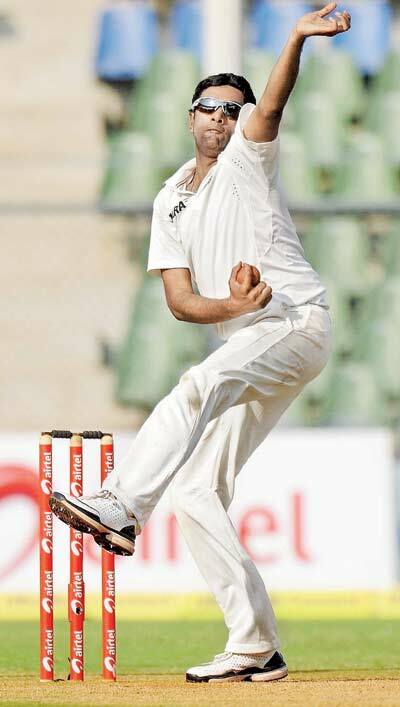 His bowling seems to be improving by the day, as against Sri Lanka in the recent Test match at Centurion, he took 10 wickets in the match making it four 5-wicket hauls in five innings. With his medium pace yet accurate lengths, he could be the next Shaun Pollock for South Africa if he consistently performs well enough with the new ball and with Steyn, could form a deadly fast bowling pair. India’s whitewash in the Test series in England gave the Indian selectors enough hint that they had to bring about some changes in the bowling attack for the West Indies series at home. 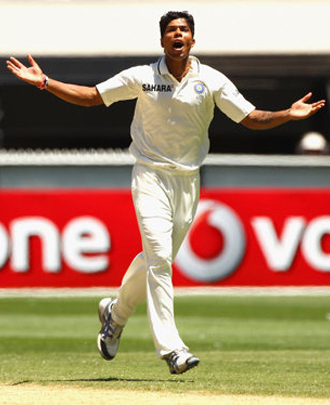 So with the spearhead Zaheer Khan injured, it was decided that Umesh Yadav be experimented with due to his pace. He made his Test debut in Delhi, which is incidentally the team he plays for in the IPL. Though he only picked 2 wickets in the entire game, he proved his capabilities on a pitch which was very slow in the second innings in Kolkata and finishing with 7 wickets in the match eventually. The Vidharbha pacer has made it to the Australian trip and with the bounce on these surfaces, especially the one at the WACA, Umesh Yadav could already be giving nightmares to an out-of-sorts Aussie batting line-up. Ashwin, for the first time gained recognition as a potential successor to Harbhajan Singh in the Indian team, when his bowling led Chennai Super Kings to the IPL titles in 2010 and 2011. He was considered a T-20 specialist still, but all those theories became misconceptions when he made his Test debut in the same game as Yadav. A tally of 9 wickets in the match, which included 6 in the second innings helped India come from behind to defeat West Indies and won him the man-of-the-match award. He had an average outing at Kolkata, but starred with the ball on a lifeless pitch in Mumbai where he picked his second 5-wicket haul and again 9 wickets in the game. But more importantly, he showed that he could be India’s solution to the ‘all-rounder’ problem when he scored a century in the first innings at the Wankhede. All these efforts won him the man-of-the-series award too. Come Boxing Day, and Ashwin might just prove to be difference between India and Australia. Indubitably, these young guns have it in them to make it big on the international scene. Some might say, performances of these sorts may be a one-off, but each of the above mentioned names have shown immense promise in the domestic setup before announcing themselves on the world stage. Patrick Cummins may not have played enough domestic cricket, but that in itself is a story, speaking volumes about the talent that teenager has. A good work ethic, and relentless effort will pave the right way for these youngsters in times to come.